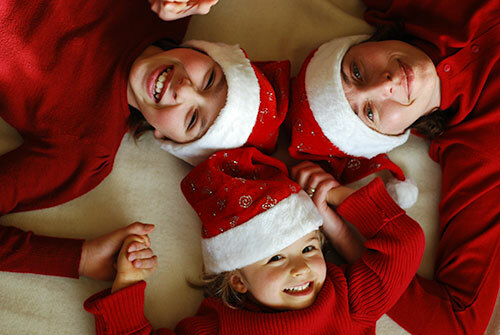 Don’t let another year go by without capturing the joy and wonder of your family this Christmas. Sorry, this course is closed. Try again for Christmas 2019! Discover the ‘good side’ of your family’s faces. With these results, they won’t mind you taking photos of them! Twice a week I'll send you the course content for each topic. As we build towards the 'big day', you'll build on steps you learned earlier in the month to take better and better photos. 1-Dec: Portraits- We’ll discuss the best ways to take fantastic portrait shots, from lighting to composition and how your subject should sit. I’ll get you to practice taking a few portrait shots today, so you’ll know exactly what to do when your family arrives for Christmas. 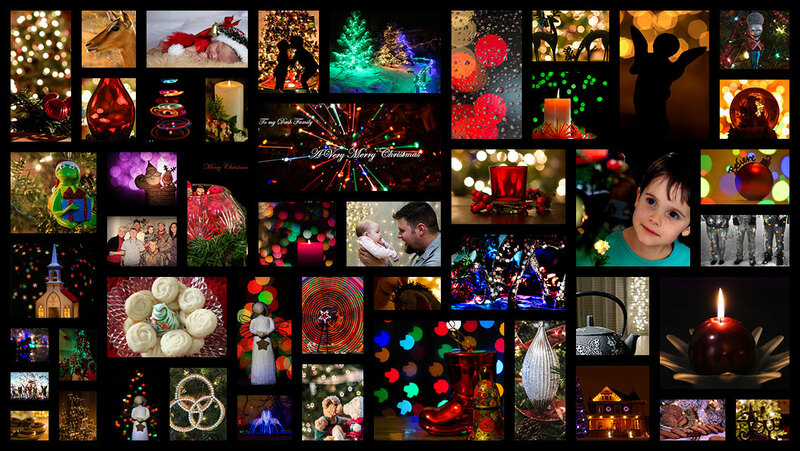 2-Dec: Christmas Lights- On 2nd December, I’ll show you how to add Christmas magic in your photos. 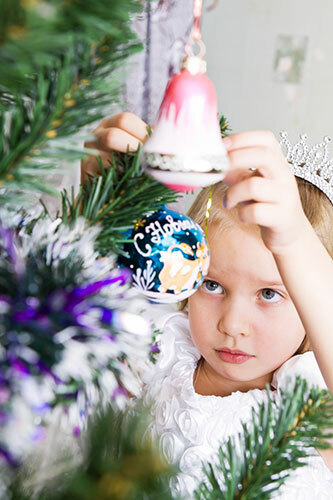 From capturing your children (or grandchildren) putting up decorations, to the Christmas tree and those wonderful in-store holiday themes. 5-Dec: Detail Shots- Today, we’ll learn how to take magical shots at night. 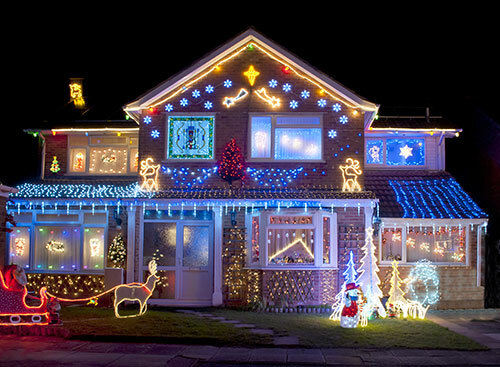 You’ll learn the camera settings to take superb Christmas light photos – either with your own decorations, or those around your area. 9-Dec: Groups- One of the biggest problems with taking family photos is the group dynamic - getting more than two people to look at the camera and smile at the same time can be a huge hassle. Today, I'll give you plenty of techniques to overcome that... as well as some time-tested group placement tips. 16-Dec: Capture Preparations- Sometimes photos taken while making preparations convey more than those taken on the 'big day'. I'll show you what to look for, for the biggest impact. 19-Dec: Christmas Magic- The anticipation is building! 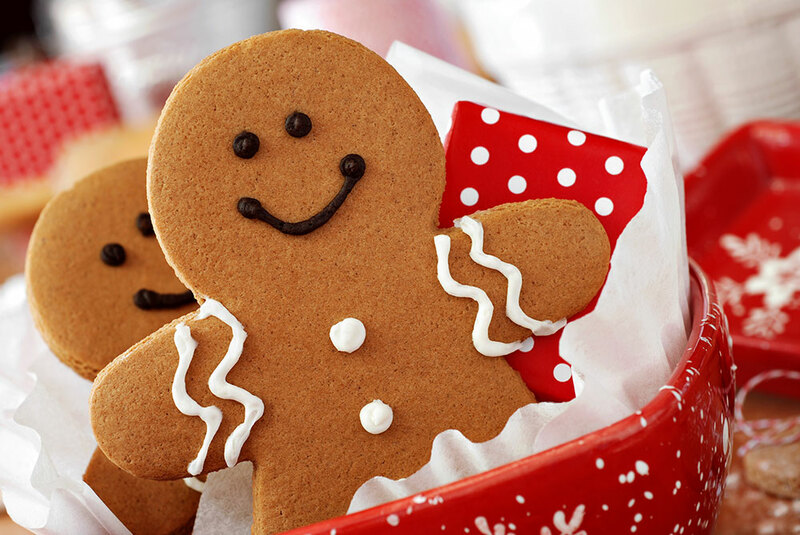 Today, I'll help you inject some Christmas Magic into your photos. 23-Dec: Checklist / Holiday Cards- We're almost there! 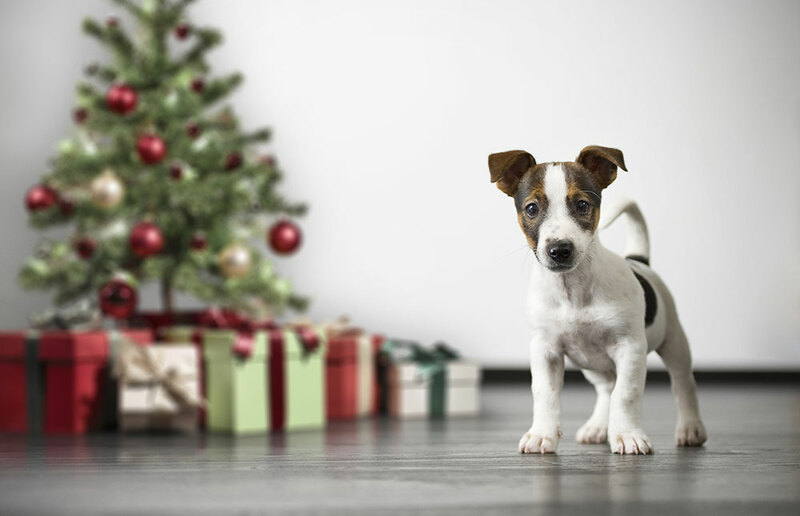 Today, I'll give you some checklists you can follow to make sure you get all the shots you want on Christmas Day. And we'll look at creating interesting 'holiday cards' of your family. I'll show you how to create unique images of your family. Learn how to create wonderful glowing shapes of light! 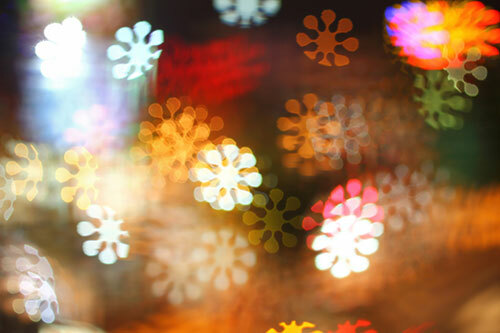 See four tricks for taking night photos of Christmas Lights. Just starting out with photography? Do you know the basics, but want to continue improving? Have you been photographing for years? No matter your skill level, I've got something for you in this course! Do you have a cheap point and shoot camera? Have you recently upgraded to a bridge camera? Or own a DSLR? In this course, you'll be able to use any camera from a cheap P&S to an expensive DSLR - or even the camera in your phone! Need a refresher? You’ll receive permanent access to the course material (tutorials, challenges, images from other participants and more). Check back to boost your knowledge at any time. 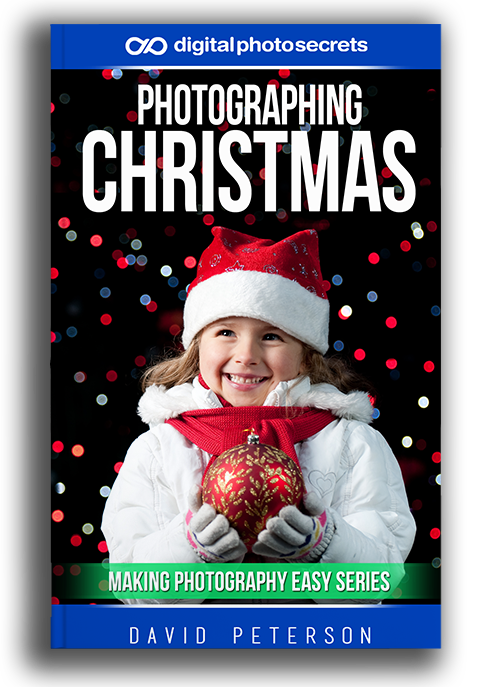 I've included heaps of content inside "Photographing Christmas" to help you on your way to creating meaningful and mesmerizing photos. 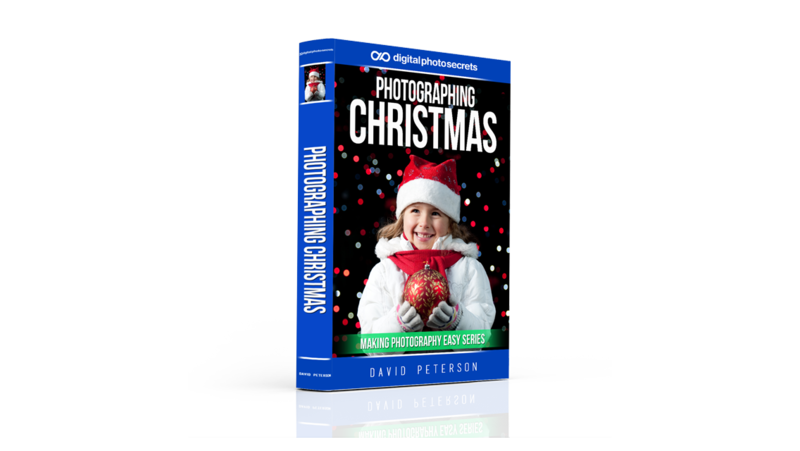 Twice a week through December, I'll send you tutorials containing step-by-step instructions for an easy new skill - designed to vastly improve your photos. The course material is designed to be 'short but effective' with no padding. If you’d like to spend more time, there is extra material so you can become immersed into the topic. My tutorials suit photographers at all levels - from beginners to pros. I'll fully explain all technical terms and you'll get the benefit of my many years of experience. I'll send a cheat sheet with every new course topic. Keep it on your phone (or print and take with you). Each is packed with the most useful tips and tricks for taking the best photos. And, where appropriate, I'll tell you the camera settings to use for the best results. 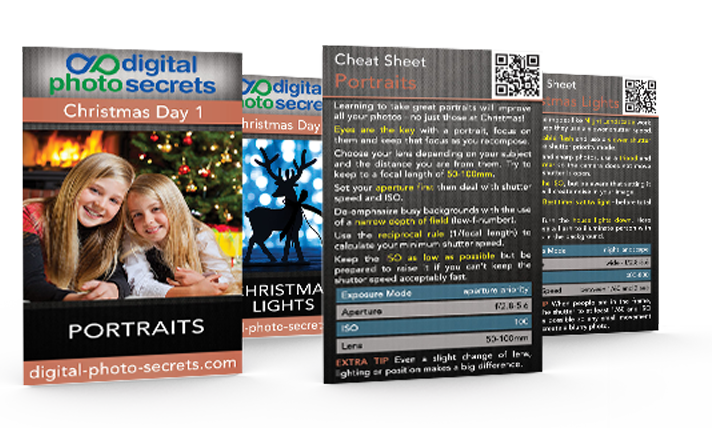 All the course information will be compiled into a handy-to-reference ebook, so you can read on a tablet, or print and read while experimenting with your camera. Having trouble finding inspiration for your photos? Our community is active, strong and lively! See photos from other countries and cultures and share your own creations. 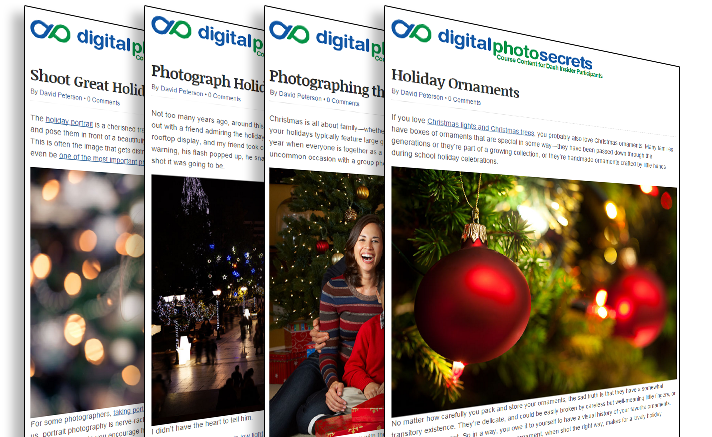 "Photographing Christmas" is based on the "Christmas Dash" I ran in 2013 and 2014. However, this course has been completely re-written using feedback from participants of the original courses. If you participated in one of the Christmas Dashes, you're in for a completely different experience! The content is the same as the 2015 course, with all new challenges. I'll include three photographic assignments with each of the eight course topics; giving you the opportunity to practice and 'lock in' what you've learned. One assignment is aimed for Beginner Photographers, one for Intermediate photographers, and one for Advanced photographers. Is this just for DSLR owners? No! This course caters for any gear from a DSLR to the camera on your phone! Taking great photos is not about what camera you have - it's about knowing how to capture any scene. Can I read it on my iPad or tablet? Yes. The course can be viewed by any device that has access to the Internet using your browser. Or you can download the ebook and take it with you! Is there a hard cover version? Unfortunately not. To keep the cost of the course down, I'm only making it available as a digital purchase. Have another question? I'm here to help! Simply email me and I'll get back to you - usually within 24 hours.